Mei has a Bachelors degree in Industrial Engineering from the University of Toronto, with a specialty in human-centered systems design. She started her professional career at IBM in 2003 as a market research analyst in IBM’s Software Group. Mei went on to join IBM’s Global Business Services division where she led development and management of IBM Smarter Planet solutions. She then led marketing for Cloud and Blockchain technologies, driving client-centric strategies and campaigns. She was most recently Market Development and Insights leader, leading a team of analysts to identify critical business challenges and define growth strategies for IBM in Canada. 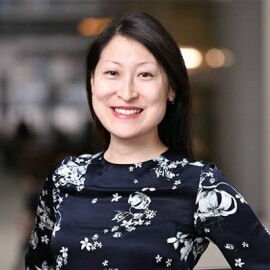 Mei is currently the Director of Market Intelligence at MaRS, leading a world-class market intelligence practice focused on helping high-potential start-ups succeed. Mei is passionate about improving the way people live and work. She is the founder of a food website, LettuceMeat.com, and also chairs a Toronto Blockchain meetup group. She lives in Little Italy with her husband and two daughters.